Hey guys! 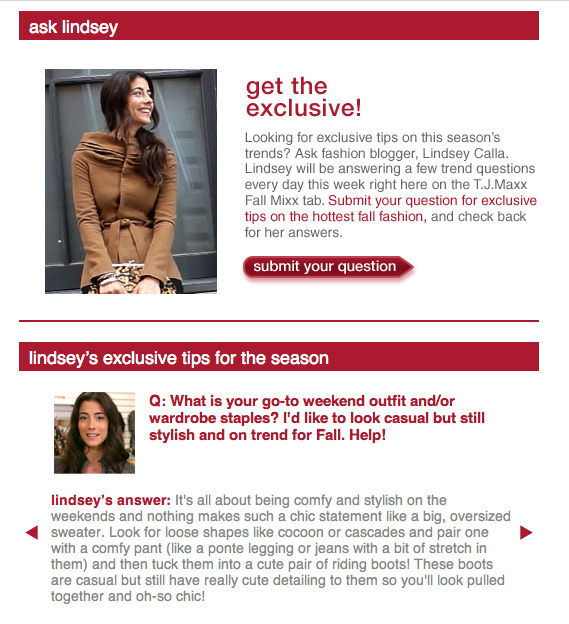 Just a friendly reminder that we are doing the "Ask Lindsey" feature on the TJ Maxx facebook page** again this week! I'm dying to hear your questions and even more excited to provide some insight and answers. I love hearing from all of you and I'm still sorting through some of the amazing emails you've sent (I promise I'll get back to you soon if you've reached out!) but in the meantime, this is the best way to get some of your pressing style questions answered.